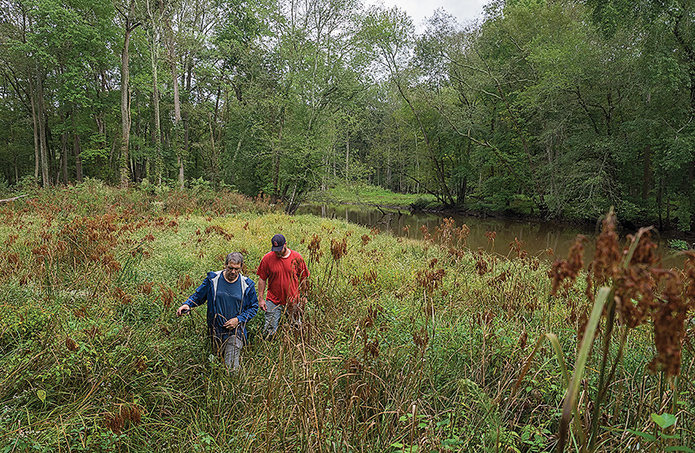 The Pocomoke’s wetlands also are a resting spot for migrating birds, ducks and other waterfowl, so enhancing that habitat became another goal for the restoration effort. The flocks can grow so dense above the river corridor that they register as clouds on weather radar equipment, said Rich Mason, a wildlife biologist with the U.S. Fish and Wildlife Service’s Chesapeake Bay Field Office in Annapolis.